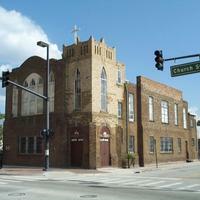 Ebenezer United Methodist Church (UMC), located at 594-596 West Church Street in Downtown Orlando, Florida, in 2003. 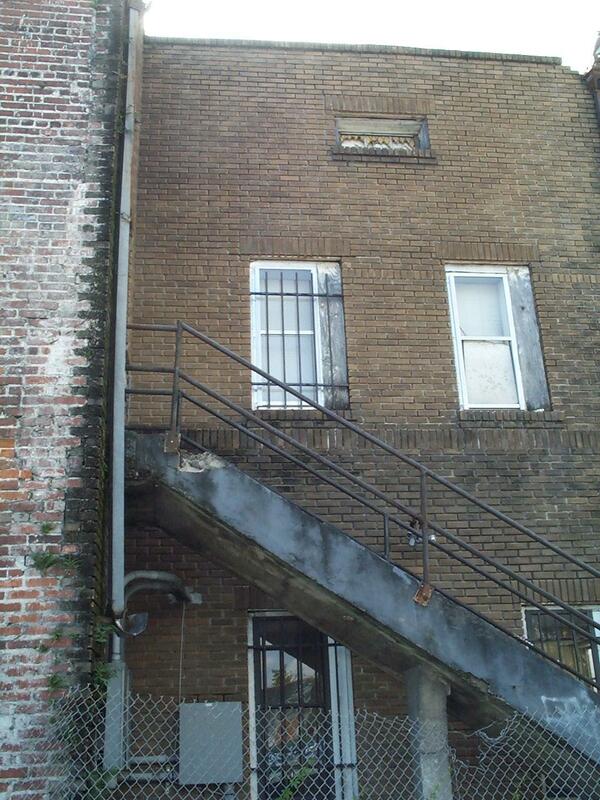 The earliest structure at this location was a wooden church built in 1872 on Terry Avenue. 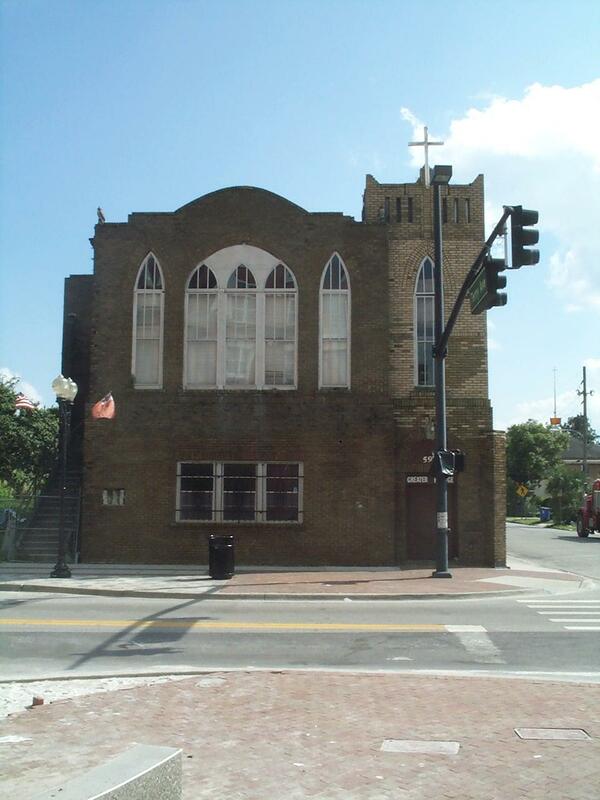 Ebenezer was the first African-American Methodist church in Orlando. 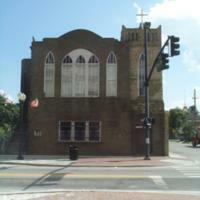 In 1927, the congregation built the Gothic-style brick structure that occupies the lot on the corner of Church Street and Terry Avenue. 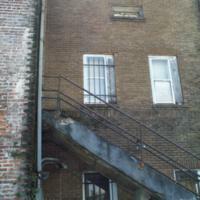 The congregation moved to 1224 26th Street in 1971. Original color image by Thomas Cook, 2003: Private Collection of Thomas Cook. Cook, Thomas. 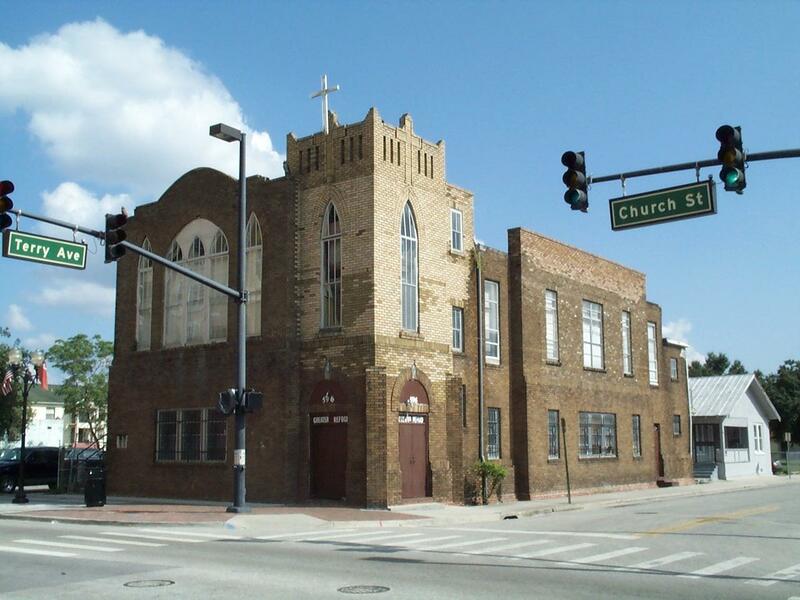 “Ebenezer United Methodist Church, 2003.” RICHES of Central Florida accessed April 25, 2019, https://richesmi.cah.ucf.edu/omeka/items/show/1935.